By staying stocked up on chemicals for your equipment, you’ll be able to quickly fix a squeaky or stuck mechanical component. Plus, it’s important to use these chemicals to perform regular maintenance on your equipment, so you can prevent its parts from becoming worn or broken. 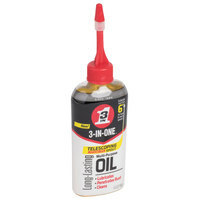 Also, by purchasing your chemicals and lubricants in bulk supply, you’ll have plenty to last throughout the year, and you won’t have to reorder as often. For other great products to have in stock in your commercial kitchen, check out our heavy-duty gloves, sanitizing wipes, and dish cloths. 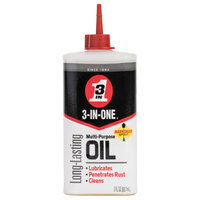 If you're wondering where to buy 3-in-one mechanical chemicals and lubricants, we have a large selection of 3-in-one mechanical chemicals and lubricants for sale at the lowest prices.